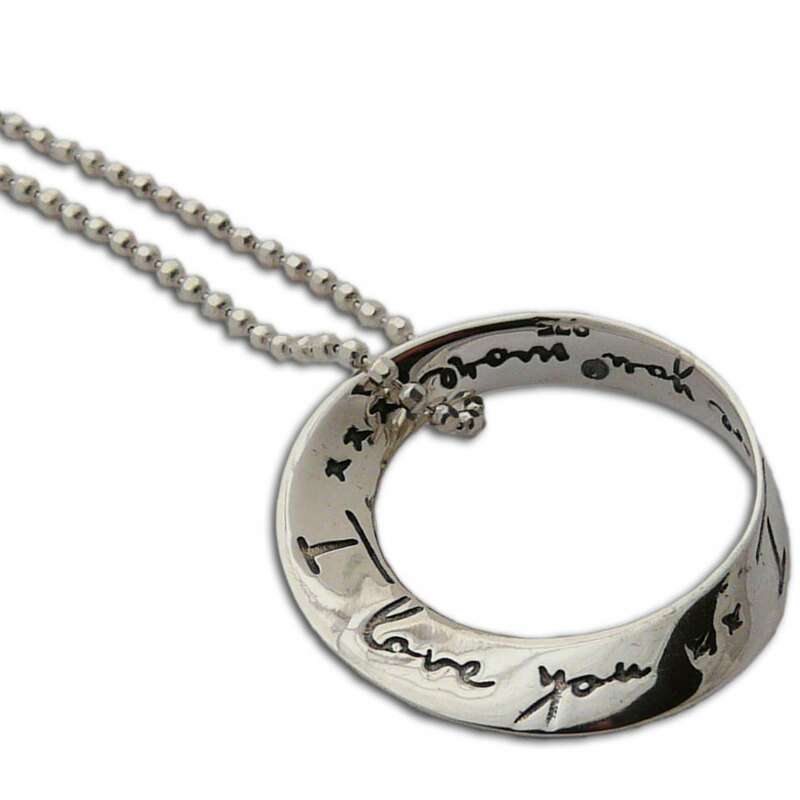 Mobius shaped pendant with the words, "I love you, I love you more" written on it. With a hangable heart gift bag. 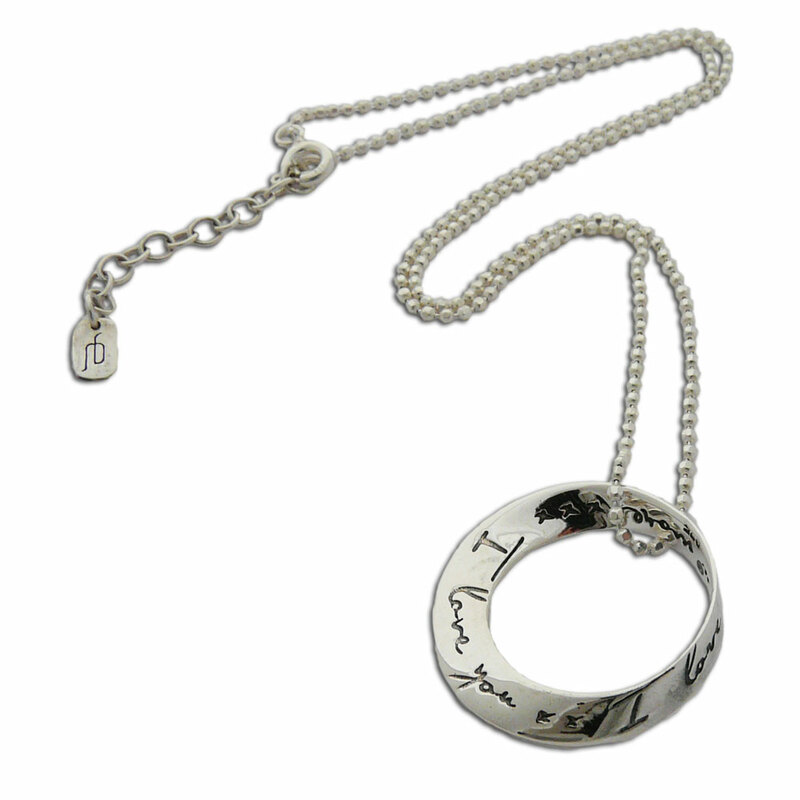 Perfect gift for anniversaries, valentines day or just to tell some one how much you care. The heart gift bag can be hung on a wine bottle, flower bouquet or Christmas Tree. Moebius strip shaped pendant with the words, "I love you, I love you more" written on it. Sterling silver. You can put it on your own necklace or purchase one of our ours to make an I Love you Necklace! 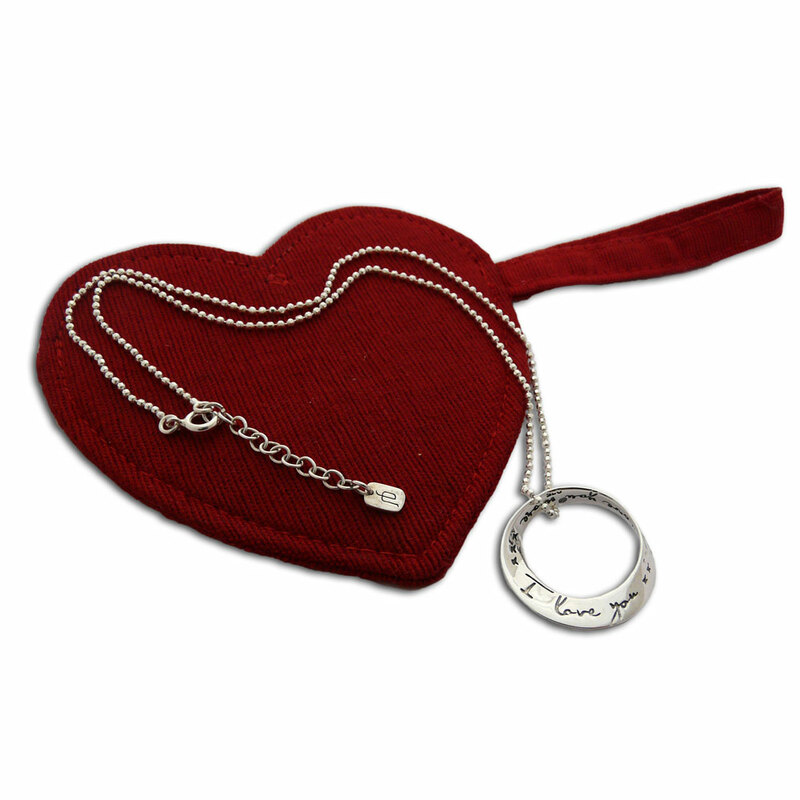 Perfect gift for anniversaries, valentines day or just to tell some one how much you care.